One System. A Variety of Applications. Requirements are increasing for cost-effective and energy-efficient operation of the electrical power distribution. Whether in industrial applications, buildings, or infrastructure: As a modular, highly variable system, the 3VA range of molded case circuit breakers provides thoroughly reliable operator and plant protection while supporting every process phase – from planning to the operation of electrical power distribution. 3VA molded case circuit breakers are available in several series with IEC approval as well as in series that comply with the IEC60947-2 and the UL489 standards. The system offers the best preconditions for machine and switchgear manufacturers. They can use all the functions of the molded case circuit breakers for plants that are operated in Europe and in North America and be completely confident of full compliance with the standards. 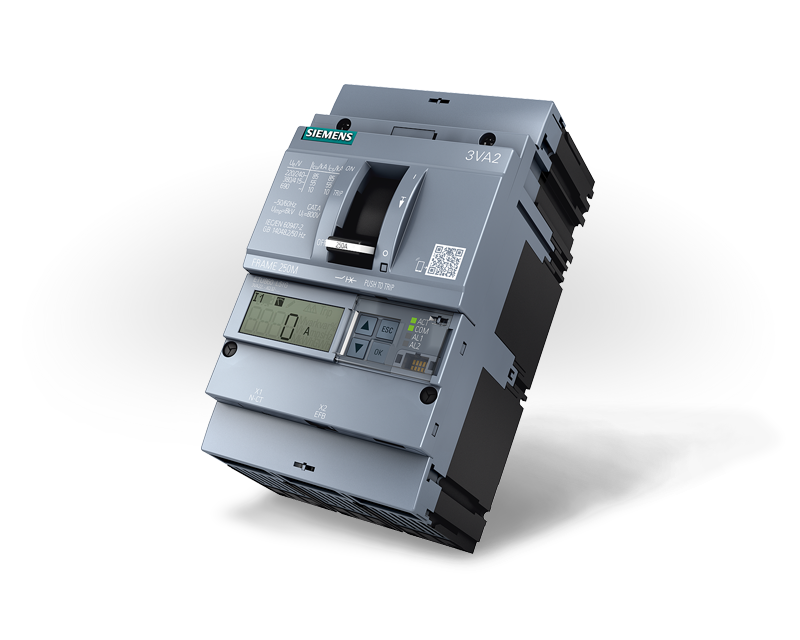 Siemens 3VA range of reliable, molded case circuit breakers provides operator and plant protection while aiding in every phase of the process: from planning all the way to the operation of electrical power distribution. The system offers the best preconditions for switchgear and machine manufacturers.